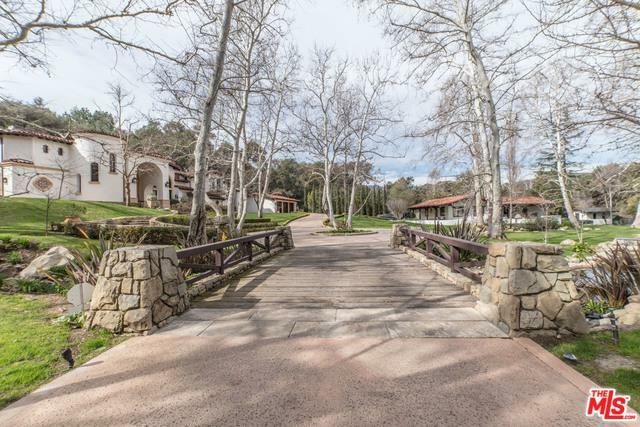 Incredible private, gated compound on nearly five acres, minutes from beautiful Malibu beaches. 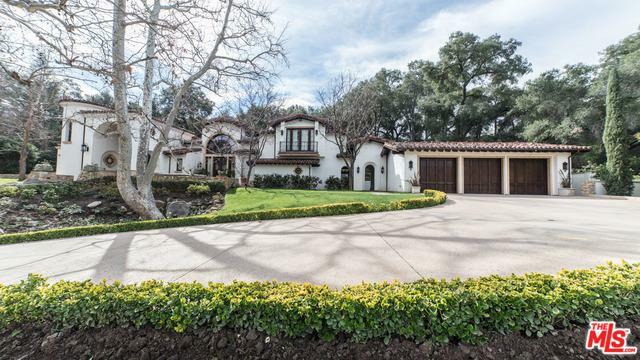 Completely renovated inspired by Santa Barbara architecture, enjoy complete privacy and park like grounds of this unique, awe inspiring estate. The main house is approximately 9,659 square feet and includes every amenity and will impress the most discriminating client. Carved limestone mantels and old world custom tile grace five fireplaces. Features include hand hewn walnut floors, alder wood beam ceilings and custom chandeliers. 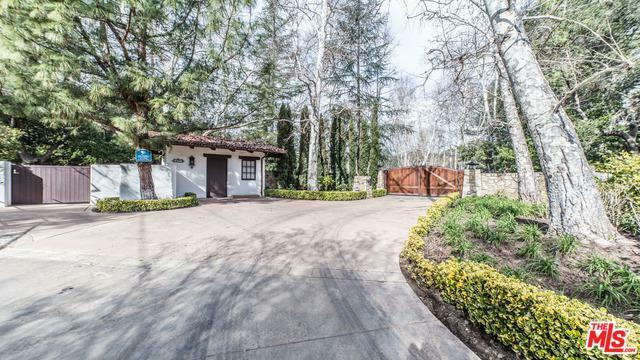 Extra amenities include a guard house, home theater, game room, wine cellar, two-story library, outdoor living room with kitchen, and barbecue. Two large guest houses and a separate meditation teahouse and full gym. A total of five bedrooms and eight bathrooms. A resort style mosaic pool and spa, limestone patios, Koi pond, waterfall, vineyard, and organic gardens. 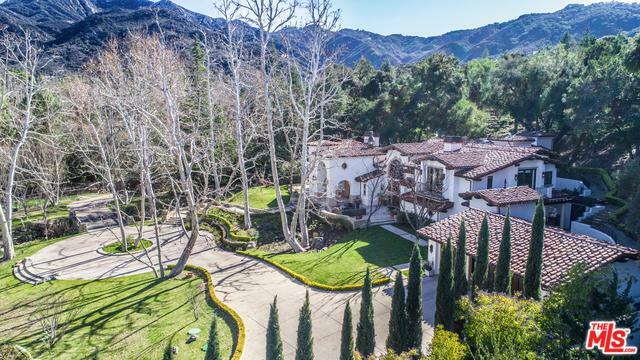 Breathtaking views and minutes from incredible shops and restaurants of Calabasas and Malibu. Listing provided courtesy of Christopher Dyson of The Agency. ©2019 California Desert Association of Realtors. All rights reserved. IDX information is provided exclusively for consumers' personal, non-commercial use and may not be used for any purpose other than to identify prospective properties consumers may be interested in purchasing. Information is deemed reliable but is not guaranteed accurate by the MLS or Hacienda Group Inc. Based on information from the California Desert Association of Realtors as of 2019-04-19T10:38:09.9. All data, including all measurements and calculations of area, is obtained from various sources and has not been, and will not be, verified by broker of MLS. All information should be independently reviewed and verified for accuracy. Properties may or may not be listing by the office/agent presenting the information.